Classical music crossover acts have a tough row to hoe. 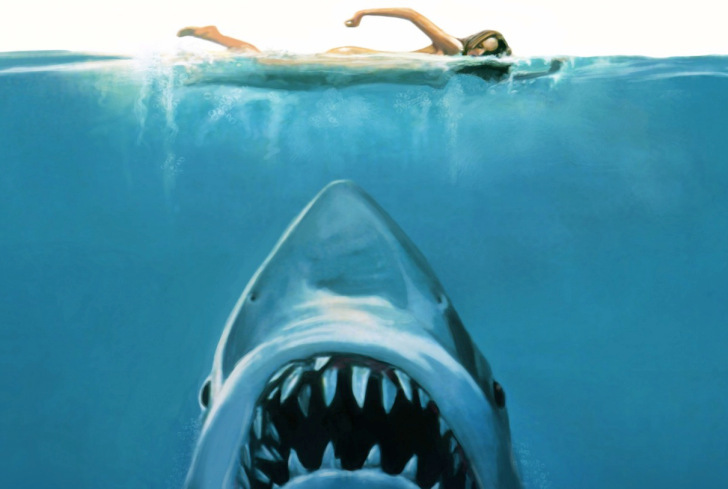 They can be greeted with widespread, awe-inspired rapture or they can cause the collective scratching of heads. There is no guarantee for success when it comes to classical music crossovers and that is due, in large part, to the accessibility of the music and the subject matter. While currently mired in the days of Justin Beiber’s attempts at free-styling about the hardships of never hitting puberty to Kesha (yes, I know she uses an “$” in there somewhere but she’ll get no tacit endorsement from me), you run the risk of not getting the same media coverage for works that are actually groundbreaking and (gasp!) entertaining to listen to. If there were ever an impresario of the “popular” cello for the 20th-21st century it would be the versatile Yo-Yo Ma—the guy can do damn near anything and do it with amazing precision at that. 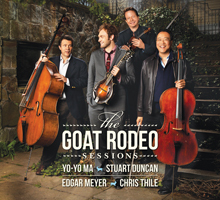 “The Goat Rodeo Sessions” is a collaboration of Ma, fiddler Stuart Duncan, bassist (and the recipient of the MacArthur Genius Grant) Edgar Meyer and mandolin-player Chris Thile. Ma explained that it combined elements of classical music with Celtic, Bluegrass, Jazz and Appalachian tones; Ma’s description is spot on. The largely instrumental album (save two tracks featuring the enchanting and empyrean vocals of Aoife O’Donovan) is dead on and could serve multiple purposes from simple background music at home to the soundtrack for any major moment in your life that requires soaring, melodic tones or an amazing string ensemble. The music is pastoral yet upbeat and modern and holds a delicate mix of rapid-paced progressions and shades of the soulful and melodic. No, but its few shortcomings are hardly noticeable unless one is specifically searching out items to critique and the slightly muddled transitions in one or two songs actually add character to the works. This album is not for everyone—but it’s not as though it attempts to be It understands its niche and doesn’t lose itself in attempting to cater to unrealistic audiences. The string ensemble comes through in spades and creates a welcome addition to the arena of popular music that has become largely cluttered with tripe and unoriginality.